Extreme events are rare natural occurrences that are far outside the norm for a particular place and time. They can have disastrous effects on vulnerable populations, both in terms of economic losses and loss of life. There are many types of natural hazards that can, when they exceed a particular threshold, be categorized as extreme events. 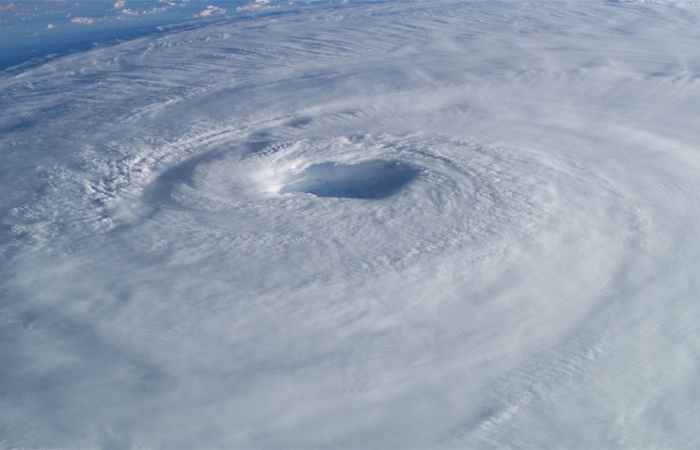 Often, extreme events are related to meteorological processes, for example, severe tropical storms, massive downpours, heat waves, and blizzards. Some involve both atmospheric and hydrological processes, such as flood and drought, which may be linked to extremes in climatic events like extreme IOD events. Extreme events of oceanic character include-in addition to tsunamis-storm surge, coral bleaching, ocean acidification, harmful algal blooms (HABs), and deoxygenated "dead zones". The Indian Ocean region is special because of its unique oceanic and atmospheric circulation, geomorphology, and the vulnerability of populations living in the region. Many middle- and low-income countries with sizeable populations border the Indian Ocean. Extreme events expose these populations to great risk, since their ability to prepare for and mitigate the threats of natural hazards is limited. Extreme events are likely to increase over the course of the 21st Century as inferred from global climate change model projections (IPCC, 2012). Concomitantly, the vulnerability to extreme events is also likely to increase, as population growth, which is higher in the developing world, will expose more people from low- and middle-income countries to natural hazards. IIOE-2 can play a key role in assessing the risks associated with extreme events in the Indian Ocean region by providing fundamental new knowledge about the causes of these events. Meteorological, climatological and oceanographic processes that are the focus of IIOE-2 contribute to the genesis of all types of extreme events, with the exception of those that originate from geophysical processes. Research involving ocean-atmosphere interactions, ocean circulation, sea level rise, nutrient distributions, biological productivity and ecosystem dynamics will help to improve both the definition of these events and our ability to forecast them. This scientific knowledge can provide input to risk management strategies that minimize the adverse impacts of extreme events. It can also provide guidance for the development of adaptation strategies to make communities more resilient in the face of increasing threats from natural hazards in a warmer world. How will climate change impact the frequency and/or severity of extreme weather events, tropical cyclones in the Indian Ocean? How do extreme events in the Indian Ocean impact coastal and open ocean ecosystems? What are the threats of extreme weather events, volcanic eruptions, tsunamis-combined with sea level rise-to human populations in low-lying coastal zones and small island nations of the Indian Ocean region? CHAIR Australia/Sri Lanka University of Western Australia, Perth. Prof. Syamsul Rizal Indonesia Syiah Kuala University, Banda Aceh, Indonesia. Prof. Benjamin Peter Horton UK Rutgers University, USA.